With this in mind, the idea that the police are going to “assist” in this RCI is laughable. 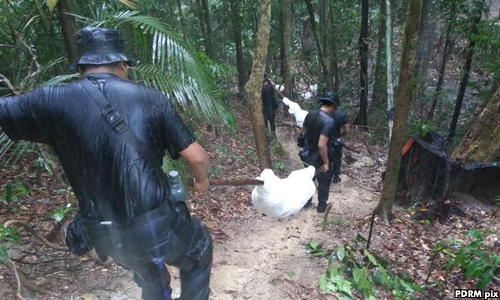 One of the things I argued that the new Pakatan Harapan government should do, after their historic May 9 win, is to unearth the killers and slavers of Wang Kelian. I have a deep mistrust of the state security apparatus. Please refer to this piece. A police Special Branch report compiled over 10 years detailed the systemic corruption within the enforcement agencies, claiming that at least 80 percent of law enforcement officers at the border were corrupt. 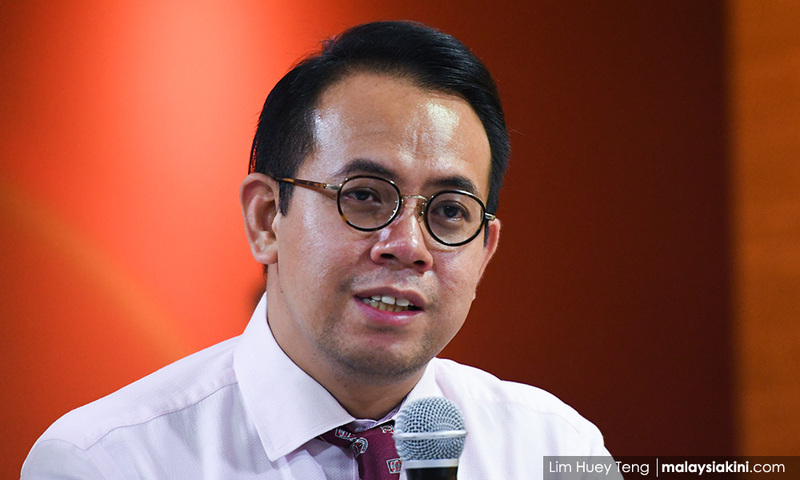 The DAP’s Steven Sim (photo), who has been doing sterling work, which often went unreported, questioned then home minister Ahmad Zahid Hamidi on the status of 12 police officers who were persons of interests in this crime and what did the home minister say in his written reply? That there was no evidence of any wrongdoing. Bukit Aman, when this issue first seeped into the mainstream media, claimed that there was no evidence that any police personnel were involved. Never mind that evidence was tampered with. Never mind that there was circumstantial evidence of wrongdoing. Never mind that political operatives from the highest levels of the Umno system were repeating the same denials as the state security apparatus, despite no independent investigation having been done. Unfortunately, the "truth" is unpalatable when it comes to human trafficking in Malaysia. As per this report: In one of their major coups in 2011, the Special Branch arrested eight Immigration Department officers based at the Kuala Lumpur International Airport (KLIA) for their alleged involvement in a human-trafficking operation. When interrogating the suspects, one of them was asked, "Who else are in the payroll of the syndicate?" And the shocking answer was: "It would be easier if you asked us for the names of officers not on the take." Do you know what is dangerous about the game we are playing here? Forget about the fact that Bukit Aman assisting in this investigation should raise red flags. Consider the political operatives and their hangers-on who could have been involved in this. What we have are political operatives who are now part of the government, who were also part of the old regime. Who can you really trust when it comes to this RCI, in the sense that some kind of political interference could be applied to save the collective behinds of political operatives in the establishment and the opposition. What we have are political operatives and their hangers-on who could have profited or covered up crimes in the old regime and who now work in this new regime. Would they really be interested in the truth being exposed? Would they really be interested to shine a light on the nexus of criminal enterprises, the security apparatus and political power in this country? And what of the state security apparatus? Has there been any real reform since the Harapan government took over? There were rumblings of closing down certain units and chatter on the streets was because these units had become so entangled in criminal syndicates they were supposed to be investigating. It would be easier to close down these units and sweep everything under the carpet. I have said before, that the state security apparatus is riddled with petty fiefdoms, whose allegiances shift with the turning of the political tide. I hope I am wrong. I truly do hope so, but I think nobody really wants to confront the heart of darkness which is Wang Kelian.